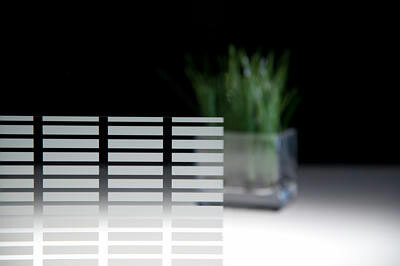 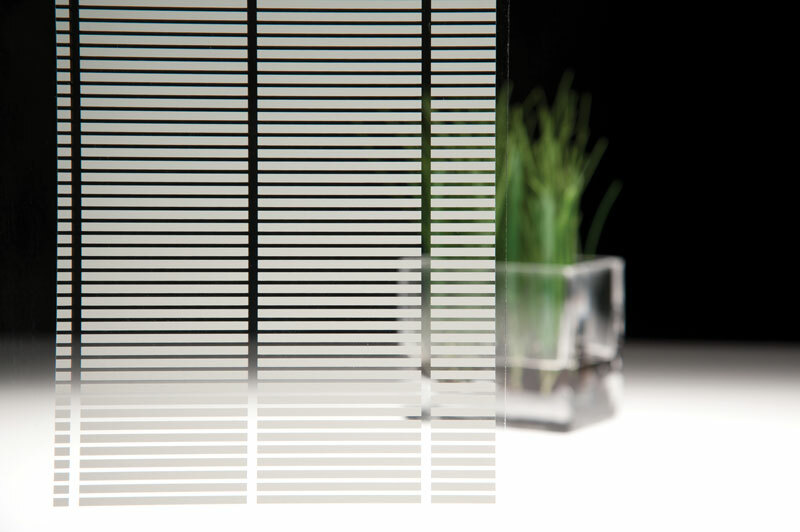 Attractive patterns are created with various combinations of etched lines and bars, from grid-like structures to the elegant simplicity of varying line lengths and thicknesses, including wider strips of opacity. 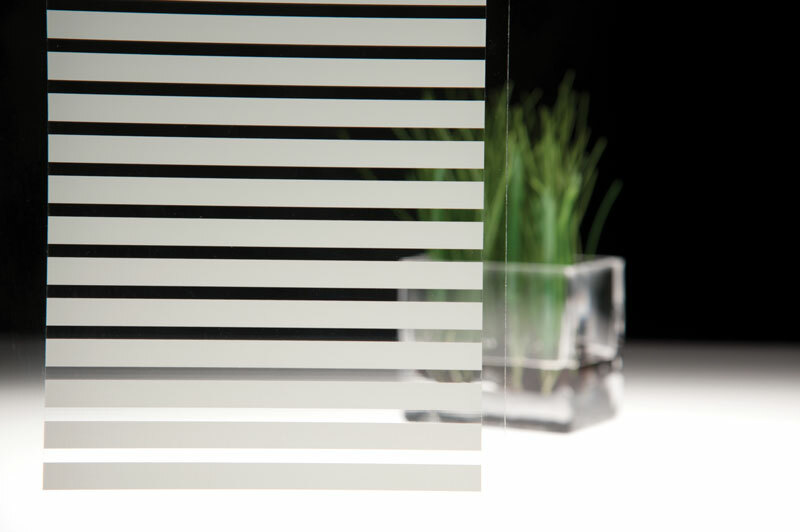 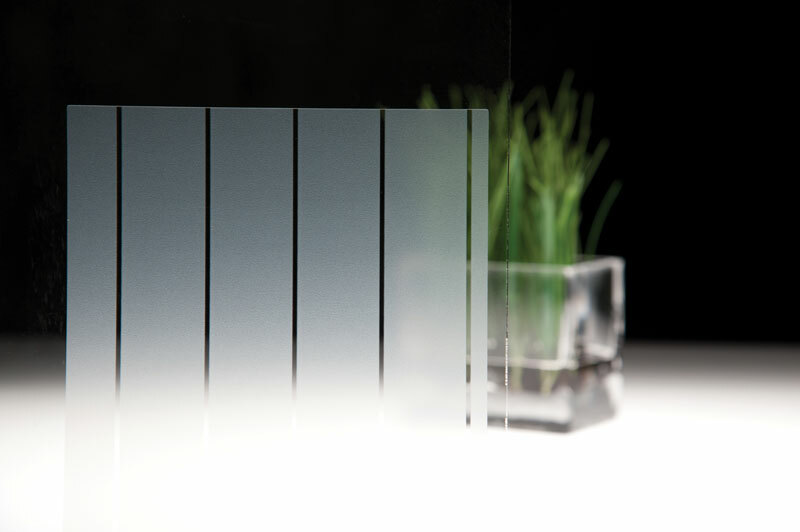 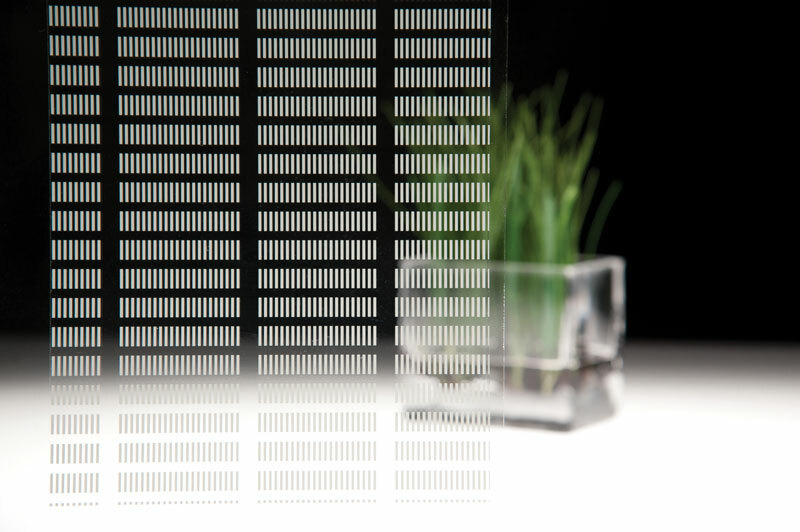 Whatever combination you choose, these horizontal bands of various sizes are an elegant way to screen the passage of light. 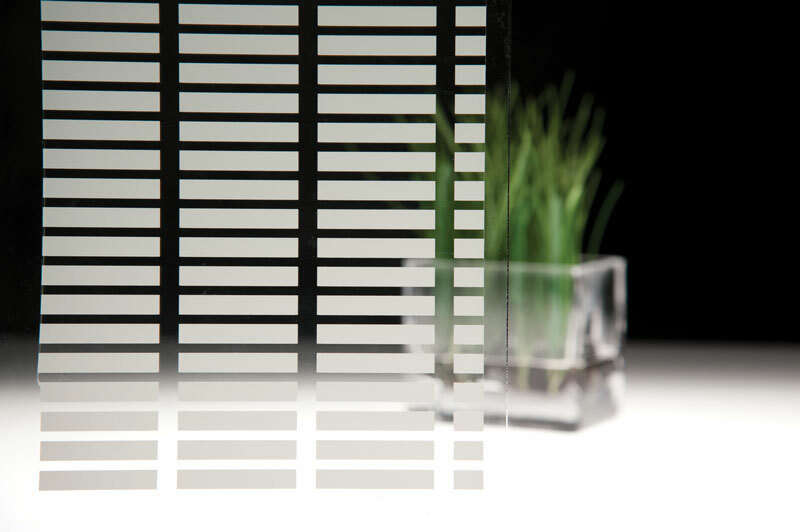 The Leise pattern, in particular, offers a nice, subtle haze effect.